Sudhanshu Palsule is an award-winning educator, consultant, leadership coach and author. He is regarded as one of the leading thinkers in the field of Transformative Leadership and Leading in Complexity. 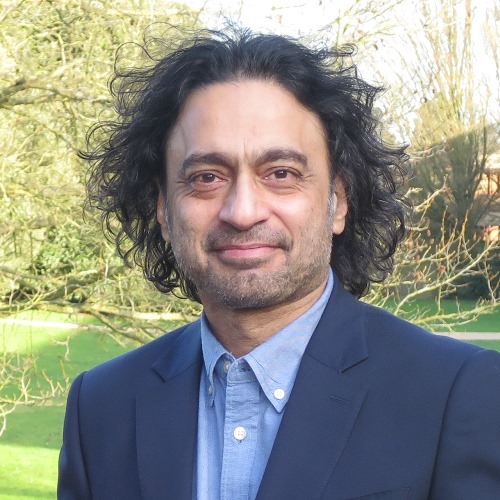 Sudhanshu’s leadership work brings together the latest research emerging from neurology and psychology, and his own exploration of human thinking and behaviour over thirty years. Programme Co-Director of the Møller Institute’s unique Explorer Mindset senior leadership development programme. From 1999-2003, Sudhanshu was a Senior Advisor in Leadership Development at the United Nations. Faculty staff at Duke Corporate Education (USA) for the past decade. Sudhanshu teaches at other global business schools and works with senior management teams across Fortune 500 companies, government organisations and the public sector. Trained as a physicist, he uses principles of quantum mechanics in his work on building effective 21st century organisations and teams that can thrive in increasingly complex global eco-systems. His newest work focuses on how leaders can develop a mindset to address the complex, disruptive and fast-evolving challenges presented by the 21st Century. Sudhanshu is considered an international ‘thought leader’ of transformative leadership. His latest book, The Social Leader: Redefining Leadership for the Complex Social Age was published in 2014. He has also co-authored Managing in Four Worlds (development management) and The Ecology of Organizations. He is currently working on a new book about the Value of Purpose.